Das Heimat is a German word for home. It is used in the sense of a place that you belong. We all have that unsatisfied yearning for a place to which we belong. India is a place where we belong. However, we have great difficulty in managing the feeling of rejection—of not belonging and being accepted—or hated. Was not Mahatma Gandhi intuitive when he warned us, “Hatred is not essential for nationalism. Race hatred will kill the real national spirit”? The allegation against us of being anti-nationals does not make us feel at home. To think that nation is an ‘imagined community’ is an anomaly. In reality, we know many people personally, like our neighbours, those friends in our workplace and members of our own families. Yet we may identify with and will lay down our lives to protect the thousands of fellow citizens who we not only don’t know, but have never, and will never, meet. When we talk about nationalism, it may be much easier to identify with imagined people you don’t know than the real ones you do. The expression “we live in the minds of others without knowing it” is so apt for us. However, it is a challenge for us to know which side of the “us and them” we are on. A ‘generalised other’ that would idealise the one at the expense of the other? 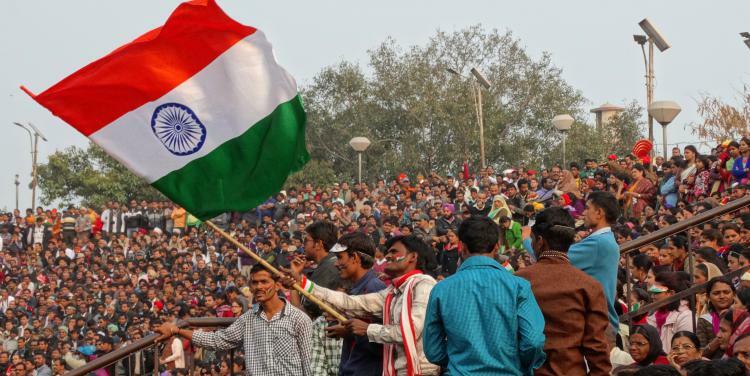 The social dynamic of fervent nationalism of today in India is not the ‘love for the country’ but rather an obsession based on a political power play. It is like fan clubs that whip their participants into an ecstasy of adoration. People do love a celebrity whom they have never met, and whose real life and character are unknown. Idolising only the celebrity’s appearance, or some other single quality, is not love but obsession. But unlike fan clubs, such nationalism does the opposite—it amplifies individual negative feelings into orgies of hatred and rage for the other. What do we do when amidst such a frenzy of hatred? To think that nation is an ‘imagined community’ is an anomaly. In reality, we know many people personally, like our neighbours, those friends in our workplace and members of our own families. What Paul writes to the church in Philippi is worth recalling here. While imagining the qualities and emotions of ‘heavenly citizens’ which now localised in the city of Philippi, Paul prays that their love may abound more and more in knowledge and depth of insight (Phil 1.9). Genuine love requires detailed knowledge of the other(s). Love is distinguishable from obsession, which is mostly about the lover, rather than the relationship. Obsession is self-generated fantasy and we need to safely stay away from it. Collective obsession is not only self-generated, but also socially amplified. This discernment is essential for our living. We continue to build our nation with genuine love. In this issue, we highlight how we look at the emerging nationalism. Have we moved as a nation from being nation-builders to nationalists? What will be our posture as Christians as we genuinely love our country? As nationalism is being radically redefined, do we have an alternative way of living harmoniously? 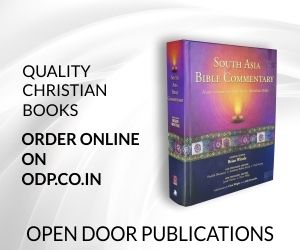 How do we pull down some of the stereotypes built around Christian community in India? Think through these questions with us as you read this issue.